A spectacular show of colour! Depending on how much sunlight is available, the Chameleon plant changes colour, hence the common name. 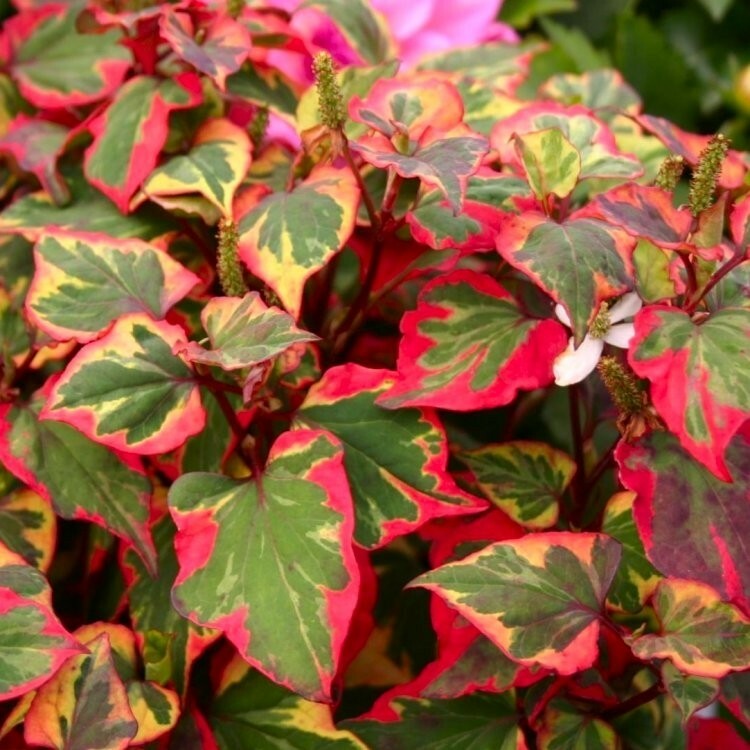 In shady areas, the leaves will be variegated green and cream. With more sun, they will take on striking hues of yellow, pink, and scarlet red. In early summer dainty white flowers appear sporadically. For Autumn colour the display is unrivalled and like no other plant anywhere in the garden as the leave change through a myriad of shades. Houttuynia is a groundcover that is very easy to grow just about anywere. Its main requirement is consistant moisture, and it can even grow in shallow water. Supplied in approx 3 litre containers.